Chelsea 2-0 Man City: Will the real slim Chelsea please stand up. Us: It’s going to take more than a buzz cut to make defenders fear Alvaro Morata. Or to impress Sarri, who didn’t even put him on the bench. False nine, goodie. I don’t think Alonso even looks properly fit so that was disappointing too. No surprise Christensen is gone gone after Wolves, or that overall Sarri has resorted pretty much to his preferred eleven. Them: No Aguero, no De Bruyne. No pressure for Sarri, who has variously been referred to this week as another Scolari, a Pound Shop Pep and a w*nker. Personally I wanted to go twenty minutes without conceding. If we didn’t start properly it might not even be ten. And then this could have been uglier than waking up next to Wayne Rooney. 93% possession they had in the first four mins - Kepa kicking it once was our 7%. We were up to 21% somehow by the time that Eden won a free kick within range of goal. Shame that up against a line of six city defenders not one Chelsea body attacked it in the box. It wasn’t exactly an onslaught, yet. They were building up momentum, but their first real effort on goal was pounced on by Kepa after 8 minutes, and although we couldn’t get near it, we had not been smashed out of the blocks and we were just about daring to dream that it might not be as bad as we were anticipating. That said, we’d been feeding off scraps. We were going to get precious few chances and were going to have to try and make them count. The experience of the last couple of weeks has taught us that this is not a simple equation in the world of Chelsea. 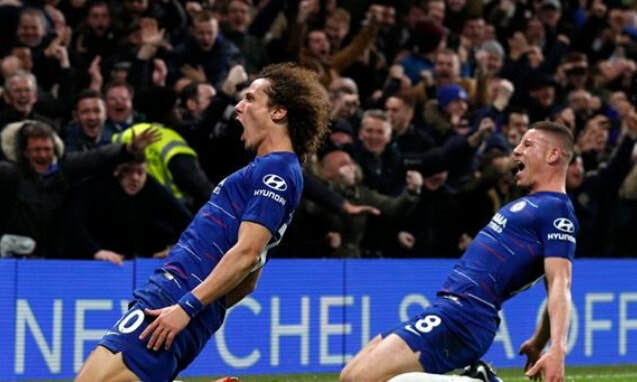 Happily they were still failing to turn any of their massed possession into meaningful attempts on goal, When City did make inroads too, the spectre of David Luiz appeared like a rhino on ketamine and stopped them in their tracks. Rudiger was like a deranged wildebeest charging them down. But aside from that, and the irrepressible Kante, we looked f*cking terrified. I was endlessly frustrated that nothing we managed to occasionally create going forward got anywhere. If you’re going to play a false nine, you put an absolute pest, in the words of Tyler (sitcom alias) like Pedro Pony in there. You don’t waste your star man. You could have started with The Beard and at the very least because he could bring it down and lay it off to the likes of Hazard. However, I had what I wanted. We were still level after twenty minutes, we had not been blown away. Let’s go for being in the game at half time now. As we discussed this we realised that this is what it must be like to support someone like Palace week in, week out. To get massively excited when you get a throw in or cross the halfway line. Tyler actually leapt to his feet at one stage, but then just before the half hour we were actually pressing. Sadly, every time we got somewhere the gap where there should have been a centre forward, or even someone over 5’7 to try and accost the City defence, cost us. And then we’re fraying. I was going mental. Forgetting completely that I’d said I’d be happy if we didn’t get slaughtered any more than 0-3 I was ranting about a display of tactical cowardice. We didn’t deserve to be making any more impact than we were. By this time Fernandinho has usually fouled us 45 times already. He’s usually on his last last last warning. He hadn’t even got him booked so far, we were so far away from them he didn’t need to put a nasty foot it. On 31 we survived handbags in the box, frantic and their best chance at scoring so far. Then we broke but gave the ball away yet again. Through Alonso, again. Dave’s turn to block straight afterwards. The home crowd was getting more and more frustrated that nothing at all was coming from any of our meagre possession, which didn’t touch 40% all night. Half the Shed nearly had a heart attack when it looked like we might have a corner. Criticism was growing against Michael Oliver, who not only ludicrously gave them a goal kick instead, but who appeared to be hyperventilating into his whistle every time we had the ball. Luiz being maimed wasn’t even enough to win a free kick, and yet every time one of them fell over, namely Sterling, play was stopped. We weren’t even leaving Hazard back for their corners. Every time it was punted clear it went straight back in again. Rage! We were still in it, I typed. “But we won’t be come 90 mins unless Sarri actually changes something to try and take a result from this game.” Thus far, as far as I was concerned we were lucky not to be behind, and it had been an appalling, meek, tragic approach to the game. Maintaining a steady 1/4 of possession and doing f*ck all with it. Take the lion off the badge and replace it with a a sad little three-legged puppy. Then like a true football fan I changed my mind in 0.4 seconds about all of this when Pedro Pony, nay, f*cking Pedro UNICORN today, played a sublime ball across the box to Little Willy, and the net result was Kante steaming in and smashing it into the back of the net. What. The. F*cking. Hell. Just. Happened? Cue hysteria - nobody knows how or why, nobody cares, somehow, we are winning. I’ve just hugged three blokes I don’t know. If anyone mentions Kante not being in the right place on the pitch again this week I will take off my boot and stab them with my heel. Get. In. So this was wholly unexpected at the break. Are we going to do that annoying sitting back now? Surely we’ll get punished - do we actually think we can win this? My brain was scrambled. All City possession again from the restart. When we did get it back, we employed time-wasting that Ben Foster would be stunned by. As we are the victims of this turgid sh*thousery for 35 games a season, I say, huzzah. We did break on 47 minutes. Willian made the absolute most of a little foul to win a free kick on the edge of the box. After a serious debate between Alonso, Willy and Luiz, the latter forced a diving save. Dare I say we don’t look quite so humble and contrite as the opening of the first half? The horrid, feeble approach of the first half was but a memory, though we were persisting with the false nine. Another long range effort from Willy on 51 but it was just a bit to tamely hit across the floor. Pepalicious wasn’t having this. He made an early change and hooked Sane for Jesus, going with the revolutionary concept of having a striker on the pitch. You all know I think he’s massively overrated, and that he’d be just run of the mill without infinite funding, but if this was to come down to a tactical play between our manager and theirs, I feared Sarri was getting ground into the floor like one of his own fag butts. Oh me of little faith. The game had swung back in City’s favour, helped by Michael Oliver having descended into the realm of the cockwomble. He really started to p*ss me off when he began awarding non existent corners. His crowning glory was Walker causing a fight for which we were inevitably punished while the former sp*d got a light talking too. Oliver is like a gremlin - remember they used to batsh*t crazy when they got wet? As soon as it started raining he lost the plot. Also, for a joke with the King of El Salvador Chelsea I put a bet on for 2-0 Chelsea and Fernandinho to be sent off. And he didn’t show him a red. As far as I am concerned the ref owes me £1400. A brilliant save from Kepa on 58, then yet another meaty clearance from Luiz, before it was dug out by Pedro Unicorn, before the loudest cheer of the match erupted for Oliver actually awarding a free kick our way. Eden Hazard was fully on it now, racing about the pitch as they tired and forcing his way into the game. Our breaks looked far more potent - till the last ball anyway. Gonzo’s birthday this week. You could see by his haggard expression that this uncertainty was taking its toll after four days without sleep. We were approaching that point when despite thinking we might get smashed, we’d been ahead long enough to consider it a failure if we didn’t take three points. One thing you thought we would have done is sit off then and ask for trouble and we absolutely hadn’t. City were starting to get frustrated, especially Mahrez with all his whining. But he was wearing that heinous combination of short sleeves and gloves so nobody took him seriously. Kovacic collapsed about twenty minutes out - he was a beast today too - I know I have a laugh at the shocking inaccuracy of his shooting, but he is like Mikel in other ways too. In that what he does goes under the radar. Also, because he has Hazard’s old number and runs exactly like him I’m convinced half the time we give Eden the credit when he does something awesome. Barkley on - and three odd minutes wiped off the clock after this and Walkergate. Excellent. However we were under a lot of pressure by now. The reason we stood firm? Largely down to Luiz and Rudiger and how sharp they still were nearing the end of the game, but also because unfathomably after that horrific sh*tshow at Wolves, across the pitch our concentration seemed impenetrable. Gundogan on for Silva, still no joy for them. Oliver was having more effect by disregarding the offside rule. 73 minutes and we got Ruben for Willian too. This is what I think ultimately beat Pep today. As Sarri was bringing on Ruben and Ross, and later The Beard too, we had replaced tired bodies with mobile beefcakes full of energy. Pep? Brought on Ben Foden. The substitution of finer creativity for muscle blocked the way for them. Half a chance from Barkley and we had our first corner of the game, which took Eden longer to take than it took Kovacic to hobble off. Excellent. We only needed the one. David Luiz. He knew as well as we did that he was a pile of dog turd at Wembley but he led by fighty, consummate example tonight. A warrior and he deserved the adulation he got for sending us two clear. Rudiger was nearly as good too. Poor Christensen must have been weeping on the bench because he will have no impact on displacing either of them when they turn performances like that in and he continues to make errors. Oliver booked Pedro Unicorn for the audacity of being good, not Stones for repeatedly shoving him. The referee was dismal today by his standards. By 80 minutes City had resorted to trying to chip Kepa from out near the halfway line. Foden had no impact. On the other hand I can’t think of a Chelsea player who had a bad game - even Alonso played his way in in the second half after a shaky start. Still not his best but much better. It could have been three after 85 when a flying header went across the face of goal. The changes hadn’t been like for like as such either, for as the end approached Ruben had switched sides with Pedro Unicorn to account for City’s changes, so there was a thinking process on display from Sarri to which I don’t believe was there at Wolves or Wembley. The clock was now moving at the speed of Phil Jagielka. A smashed shot from Fernandinho went wide after it looked to have got the better of Kepa. A low four minutes added on. It took Kovacic that to leave the pitch. Chorus of “You’ve had your day out now f*ck of home” at the City fans now. I tried to get someone to take up “Sacked in the Morning” at Pep, but had to settle for chuckling at the deeply philosophical “You’re f*cking sh*t.” Most of the remaining minutes we spent in the corner, or passing it through their legs. Ruben and Ross (RAR - I like this, especially if you actually do it in the style of a roar) made a break for it in injury time, and they really should have scored but for a sublime diving save from Kepa, but we were done. Cue a lot of bouncing around to One Step Beyond. So: Somehow, none of us can fathom exactly, Sarri’s football beat Pep’s. I can kind of see it. The root of it was a disciplined display by the centre backs, which held us steady; but, and I never would have thought it possible, Pep’s changes were second best to our manager’s. We constructed a third less attempts on goal, and yet we had more shots on target. We were more productive, and they were noticeably limp when it came to the final effort on our goal. I could be p*ssed about Sp*rs and Wolves, but this is us isn’t it? Our best eleven on any given day could beat pretty much anyone put in front of them. The issue is how to keep that going with squad rotation and competing on multiple fronts at the moment. But today I got everything I asked or - with the exception of my £1400 winnings thanks to Michael Oliver. There was evidence of a learning curve, adaptation as the game played out from Sarri, commitment and passion from the players and a backbone on display. An outstanding day. As for the w*nker that appears to have tainted our club, if he’s guilty I hope he never sets foot inside the club again. Yes, Sterling deserves all the mockery in the world for the fact that he’s a diving cheat, But what nobody deserves when they turn up for work is to be racially abused by Neanderthals. I do, however, chuckle every time Match of the Day or Scouse Sports News leaps on one of these disgraceful displays like they’re telling you something abhorrent that we all believed has been eradicated from the game. I have been racially abused at Old Trafford, Wolves, City and multiple times at Anfield. It hasn’t been eradicated at all, every club still has a contingent of foul individuals comfortable with spouting this sh*t. I experience this on average about three or four times a season. Just because you caught it on camera when it was aimed at a player and pointed it out on TV doesn’t mean you’ve isolated the only offenders and the twice season shock and horror is insulting to anyone who experiences this with regularity. Either fight it, with every bit of power you can muster with your broadcasting capability, or spare us the occasional faux outrage and sad shake of the head from Gary Lineker. The collection is still ongoing for the children who will spend this Christmas in a domestic violence shelter - you are running out of time now if you want to donate though. 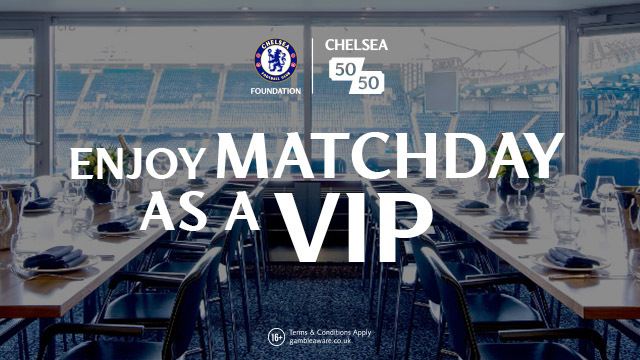 You can join more than thirty other epic CFC fans by contributing through PayPal (alexandra.churchill@hotmail.com) or you can contact me via Facebook or Twitter (@CFCgwlb) for bank transfer details. This match report is written by Alex Churchill from - A Girl Who Likes Balls. 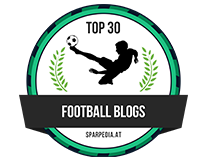 You can check out my alternative match report HERE .